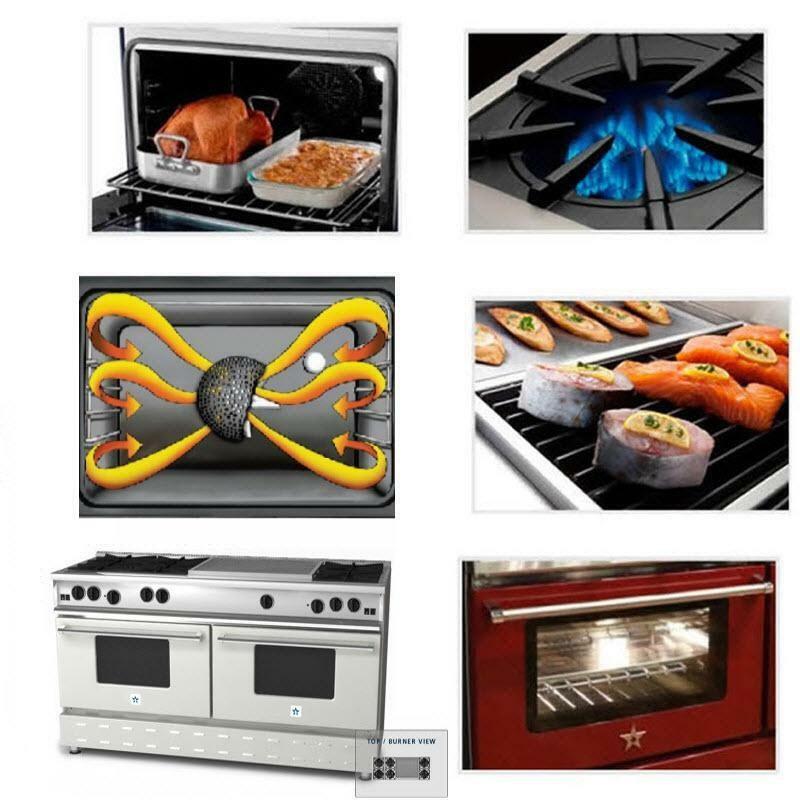 The cavity design of the oven and the convection fan system result in the most complete exchange of air possible. This provides incredibly precise, even heat distribution. Bring sauce to a boil while stirring on a front burner, then slide it to the rear to simmer while you sauté up front! Full motion grates allow you to easily reposition pots and pans from front to rear burners without lifting. The grates are also oversized to accommodate the largest stock pots and sauté pans. With auto-ignition, you no longer need to light the burner when the flame goes out. It also automatically stops the burners from sparking, which is no longer needed after the flame is lit. 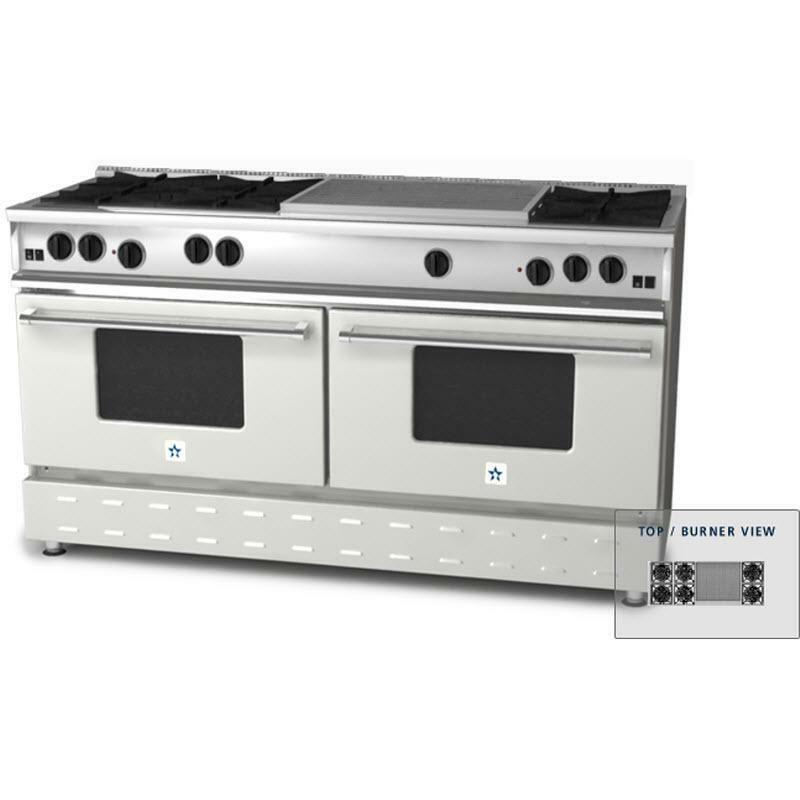 2 extra-large ovens that will accommodate a full-size 18"x 26" commercial baking sheets. The convection fan system combined with the cavity design of the oven provides incredibly even heat distribution for precise baking results. Capacity (cu. ft.) Primary oven: 4.5 cu. 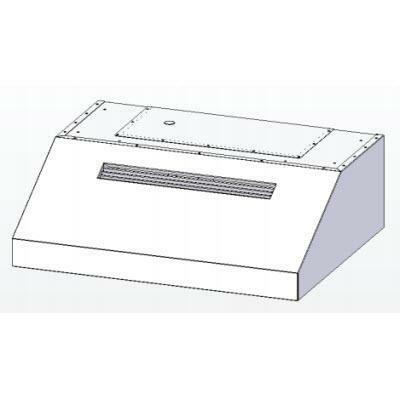 ft.
BlueStar® 24" white under-cabinet re-circulating range hood. This range hood features a 520 CFM internal blower, stainless steel baffle filters, charcoal filters and pre-installed lights.